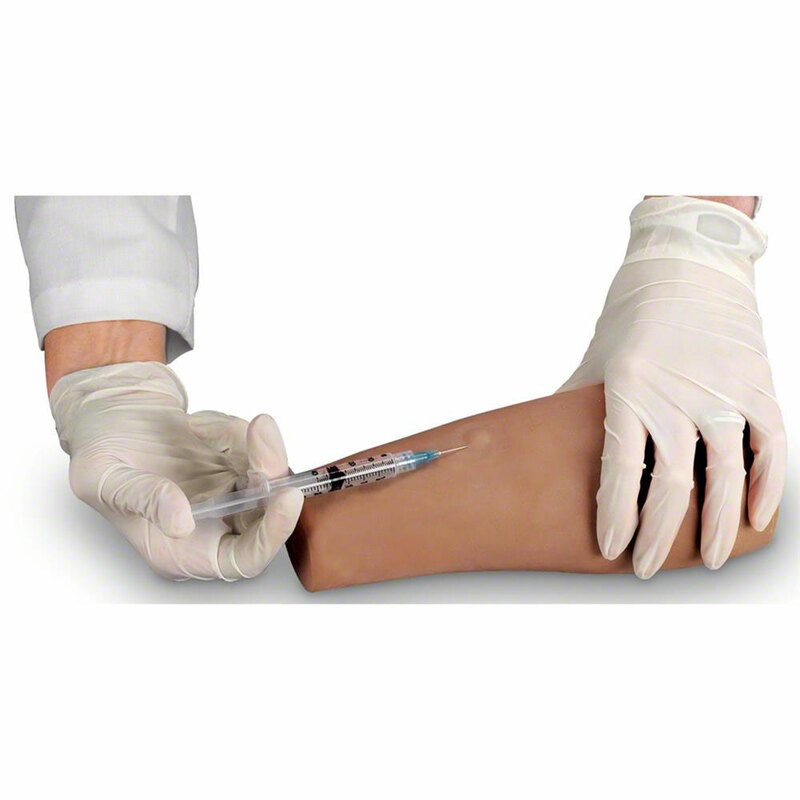 Practice intradermal injections safely and conveniently. This trainer consists of a casting molded from an actual forearm from the wrist to just below the elbow. The new Life/form® soft vinyl skin provides a life-like appearance and feel to ensure a more realistic training experience. 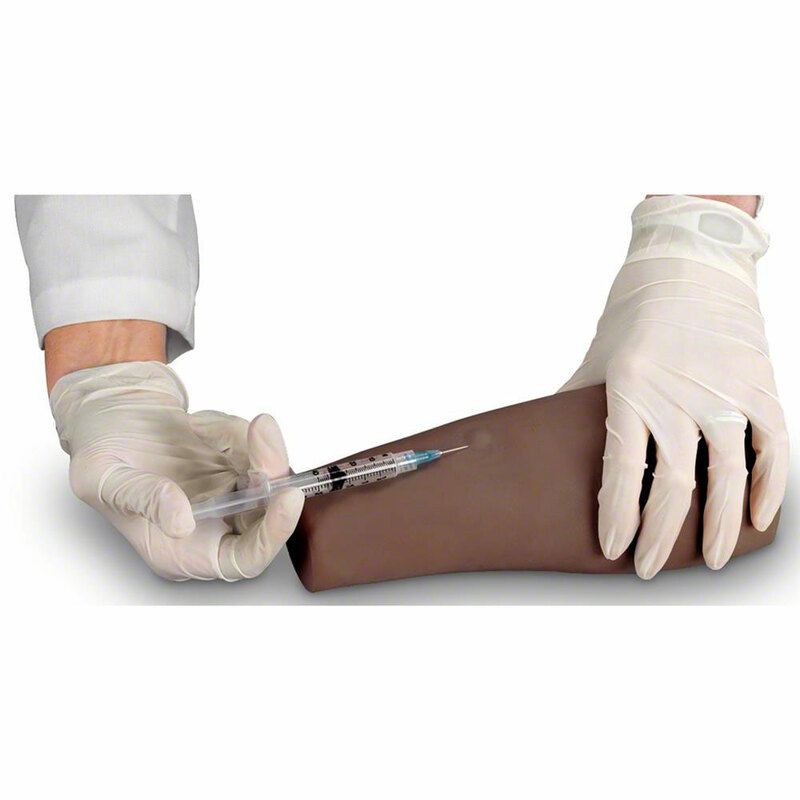 The arm includes eight sites for practicing intracutaneous injections. When the fluid is properly injected, a characteristic skin welt will form. You can remove the welt by withdrawing the fluid when the practice session has finished. Each injection site is reusable many times over. This simulator is available in a variety of skin tones. Select your desired skin tone by using the drop-down window above. 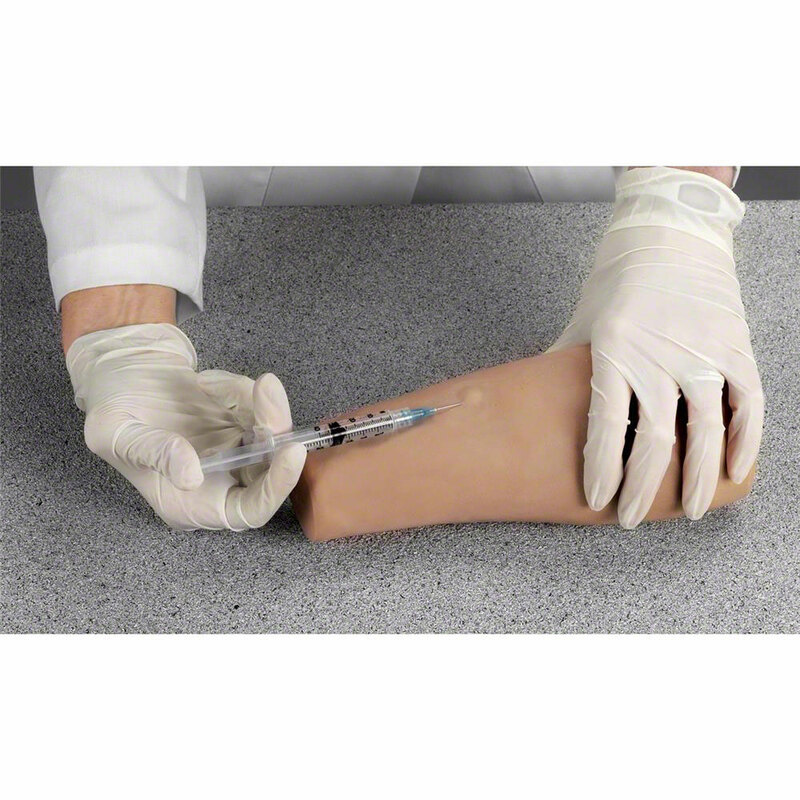 Includes arm section with eight injection sites, sealant, syringe, teaching guide, and storage box. The included sealant (LF01009U) will extend the life of the skin; however, skin is not replaceable and the simulator will eventually need replacement. Five-year warranty. Size: 13" x 11" x 5".